Lung cancer is the top cause of cancer deaths in both men and women. But this wasn't always the case. Prior to the widespread use of mechanical cigarette rollers, lung cancer was rare. 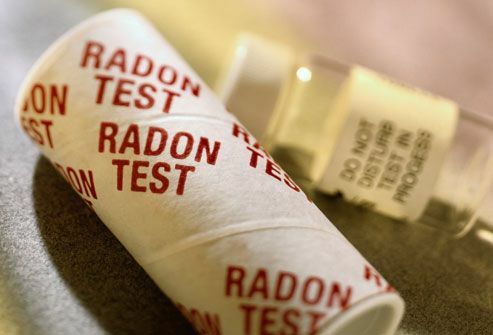 Today, smoking causes nearly 9 out of 10 lung cancer deaths, while radon gas, pollution, and other things play a smaller role. 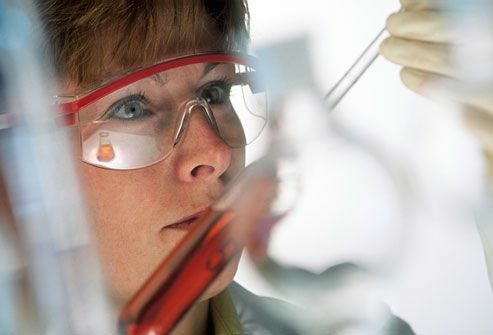 Newly developed drugs provide new hope for those diagnosed today. Cigarettes are packed with cancer-causing chemicals. They also disarm the lungs' natural defense system. 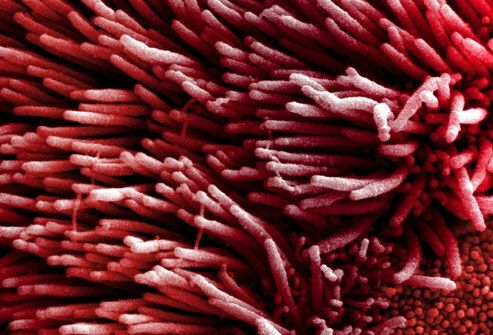 The airways are lined with tiny hairs called cilia. 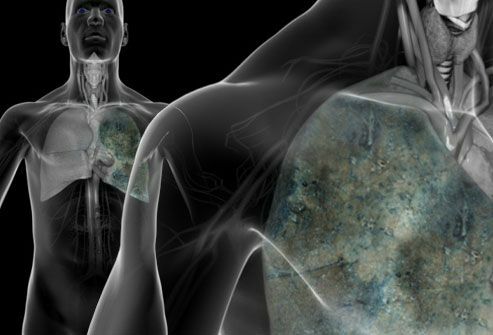 To protect the lungs, they sweep out toxins, bacteria, and viruses. Tobacco smoke stops the cilia from doing their job. This lets the cancer-causing chemicals build up. A type of scan called spiral CT may pick up early lung cancers in some people, but it's not clear whether it finds them early enough to save lives. The U.S. Preventive Services Task Force recommends that heavy smokers ages 55-80 get a CT scan every year. The same goes for those who used to smoke a lot and quit less than 15 years ago. 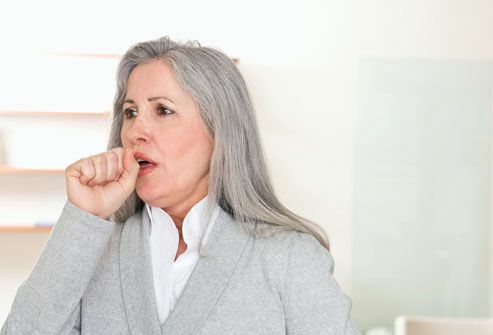 If your doctor thinks you might have lung cancer -- for instance, because you have a long-lasting cough or wheezing -- you’ll get a chest X-ray or other imaging tests. You may also need to cough up phlegm for a sputum test. If either of these tests suggest that you could have cancer, you'll probably need to get a biopsy. Your doctor will take a small sample of the suspicious growth, usually with a needle, for examination under a microscope. By studying the sample, a pathologist can determine whether the tumor is lung cancer, and if so, what kind. Staging describes how far someone’s cancer has spread. 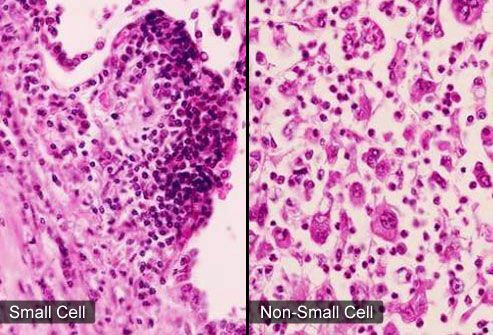 Small-cell lung cancer is divided into two stages: "Limited" means the cancer is confined to one lung and maybe nearby lymph nodes. "Extensive" means the cancer has spread to the other lung or beyond. Non-small-cell lung cancer is assigned a stage of I through IV, depending on how far it has spread. When doctors find non-small-cell lung cancer before it spreads beyond one lung, an operation can sometimes help. 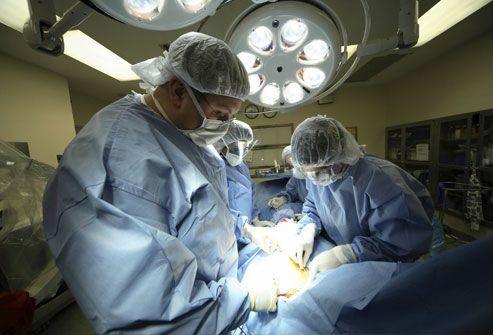 The surgeon may remove the part of the lung that has the tumor, or if necessary, the entire lung. Some people get radiation or chemotherapy afterward to kill any remaining cancer cells. 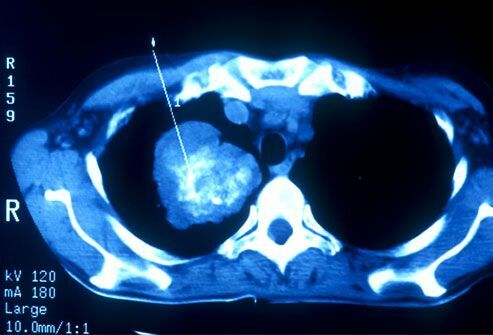 Surgery usually doesn’t help with small-cell lung cancer because it probably has already spread before diagnosis. When lung cancer spreads too far to be cured, treatments may still help people live longer and have a better quality of life. Radiation and chemotherapy can shrink tumors and help control symptoms, such as bone pain or blocked airways. 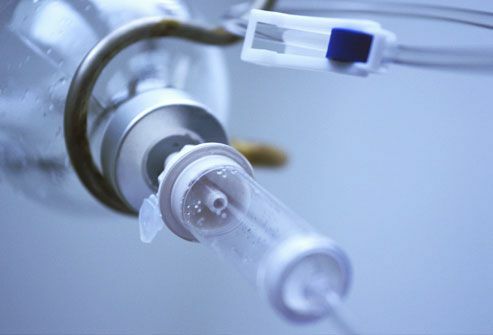 Chemotherapy is usually the main treatment for small-cell lung cancer. Targeted therapy plus chemotherapy may help, if other approaches don’t work. One type prevents the growth of new blood vessels that feed cancer cells. 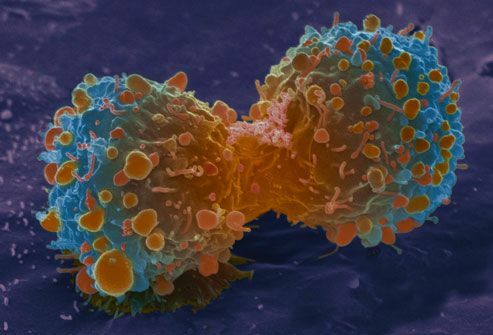 Others interrupt the signals that prompt lung cancer cells to multiply, as shown in the image here. 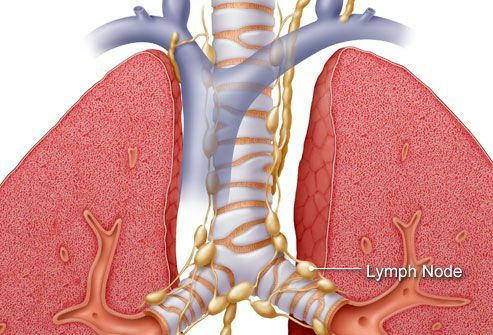 Immunotherapy works with your immune system to fight advanced cases of non-small-cell lung cancer. It doesn’t work for everyone, but when it does, the results look strong. You’d also get chemotherapy. 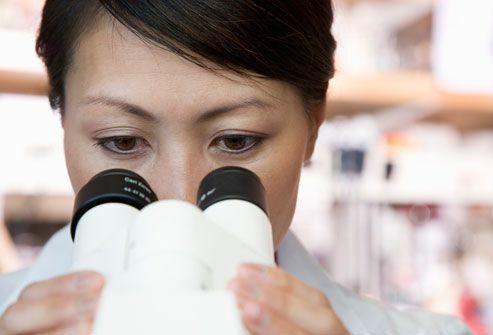 Clinical trials help doctors explore promising new treatments for lung cancer. Ask your doctor if there’s one that you could join, what to consider, and how to sign up. Being diagnosed with lung cancer can be a shock. If you smoke, or used to, it’s not too late to make healthy changes. 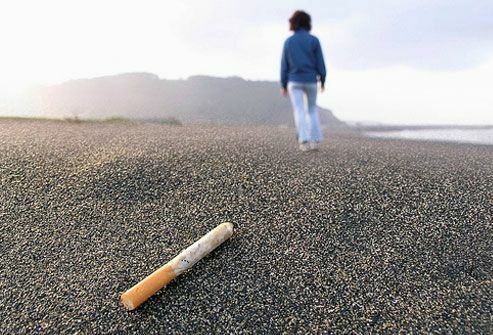 Research shows that people who quit smoking after learning they have lung cancer do better than those who keep smoking. 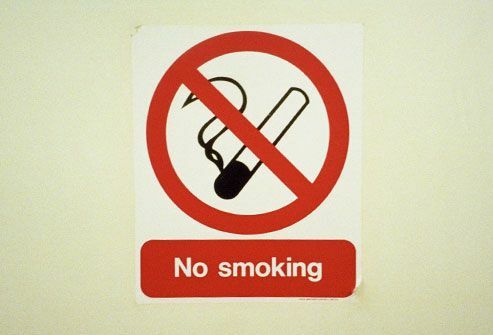 While smoking is the top cause of lung cancer, it is not the only risk factor. 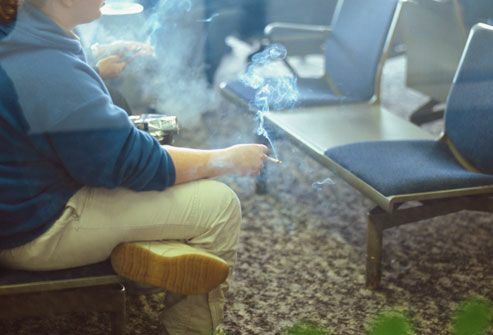 Breathing in secondhand smoke at home or at work also appears to raise your risk. People who are married to someone who smokes are 20% to 30% more likely to get lung cancer than the spouses of nonsmokers. 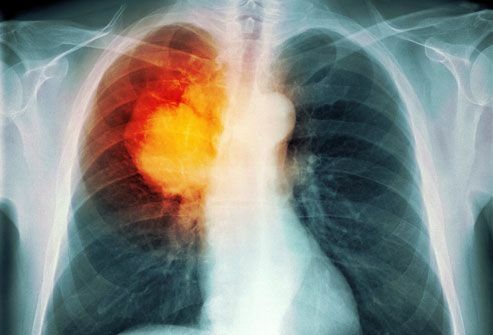 Some jobs make lung cancer more likely. 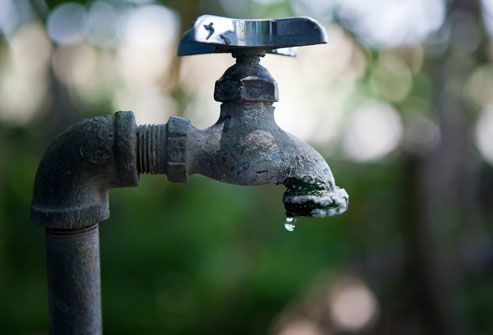 People who work with uranium, arsenic, and other chemicals should try to limit their exposure. 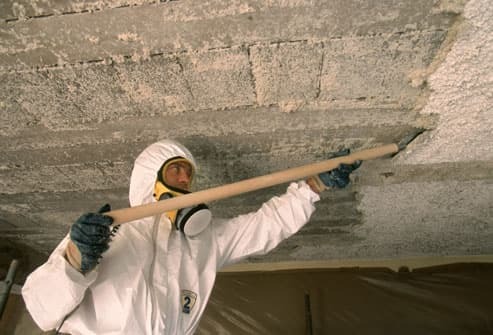 Asbestos, which was once widely used in insulation, is a known cause of lung cancer. It’s rarely used now, but workers who were exposed years ago are still at risk. This natural radioactive gas is found at higher than normal levels in certain parts of the U.S. The gas can build up inside homes and raise the risk of lung cancer, especially in people who smoke. It is the second leading cause of lung cancer in the U.S. You can’t smell or see it, but you can use a simple test kit to find it. It causes far fewer cases than smoking, but air pollution is still something to avoid. 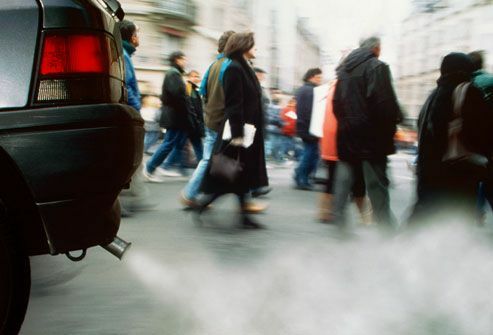 Experts think that pollution from cars, factories, and power plants may affect the lungs like secondhand smoke does. Lung cancer does happen to people with no well-known risk factors -- including those who've never smoked. Researchers don't know why. It seems to happen to women more than men. And one type, adenocarcinoma, is more common in nonsmokers than smokers. Lung cancer is the leading cause of cancer deaths for men and women. But if you don’t smoke and you avoid other people’s smoke, that will greatly lower your odds of getting it. If you smoke, do whatever it takes to quit. It often takes several tries to kick the habit, so keep trying. It’s worth it, and will benefit your whole body. 8) Brian Evans / Photo Researchers, Inc.
11) SPL / Photo Researchers, Inc.
University of Texas M.D. Anderson Center web site. Wakelee, H. Journal of Clinical Oncology, Feb. 10, 2007. U.S. Preventive Services Task Force web site.